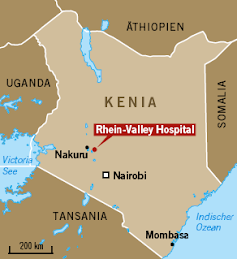 The Rhein - Valley Hospital in Nakuru-Kasambara opened in 2004 and is directed by Ruth Schäfer of Switzerland. 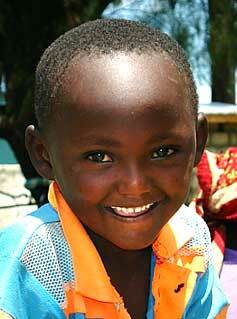 The hospital relies solely on donations for buying food and medicine for the poor and suffering locals. 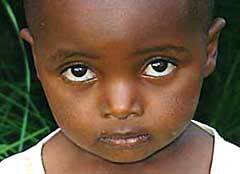 Moreover, all funds are used directly for patient care. 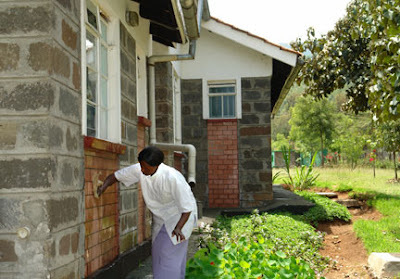 Every year thousands of people visit the hospital for medical help and nowadays also for food and shelter. Blog Editor: Kedar Misani. 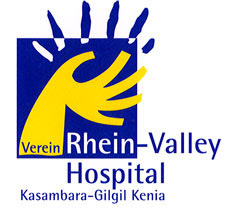 You can send your donations to the Alpha Rheintal Bank, CH - 9442 Berneck, Switzerland; Clearing 6920, BIC RBABCH22926; IBAN: CH75 06920016 1856 71206, Verein Rhein-Valley Hospital, CH - 9450 Altstätten, Switzerland. rs. Yesterday was the moment to unload the many school supplies that were sent to us through the kidstokids organization in Switzerland. Our crew was amazed to see them. They have never seens such quality school chairs. First they thought they were all for our office. Then I explained them that they will be given to our Kenyan schools in the region. They checked out the chairs themselves and couldn't believe that the height could be manually changed. Tegla Loroupe who will get part of the equipment for her new Peace School in Kapenguria can only organize the transport to her place in 2 weeks, so we brought them to a tent to store them in the meantime. 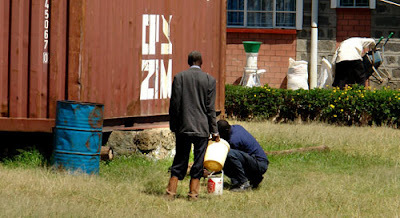 The rest stays in the container for he moment until we have made the plan how to distribute them to our schools in Thugunui. Church wants to dispute our property! rs. 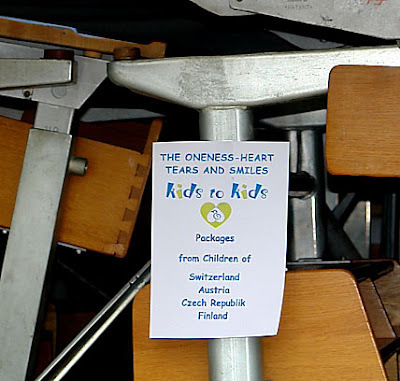 Today we opened the container that we recently got thanks to the help of the Swiss kidstokids organization, a department of the International humanitarian organization "The Oneness-Heart Tears and Smiles". 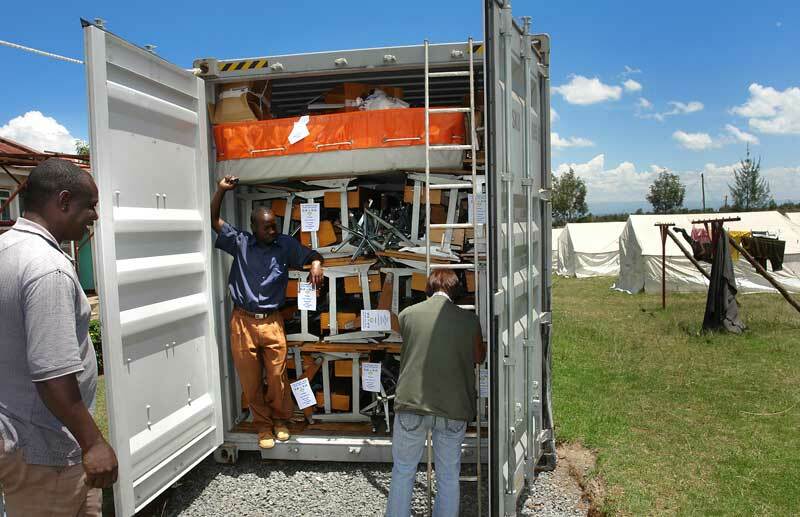 The container is full of school supplies and packages that were collected by children from Switzerland, Austria, the Czech Republic and Finland, for their little Kenyan brothers and sisters. Tomorrow we will start unloading the school banks and chairs that will be given to Tegla Loroupe for her Peace School in Kapenguria. 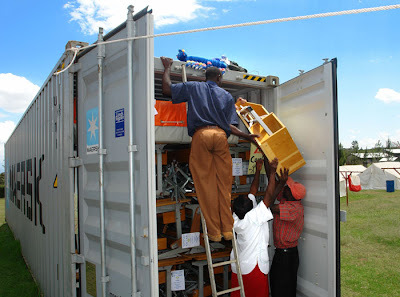 All my crew is eager to help tomorrow because it is a special day for them to help unload the container and discover all the things she normally only dream of. 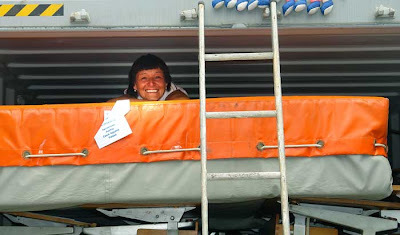 Mama Matata (Ruth Schäfer), director of the Rhein-Valley Hospital climbs as the first onto the gymnasium mattress in the container. rs. Today I went early to the hospital. I heard that Mr. Bernhard from the church council wanted to check the measurements of our property. They still believe we are working on foreign ground. Fortunately we have our official plans since 2005. But still they want to threaten us. After some loud discussions, they realized that they are wrong. 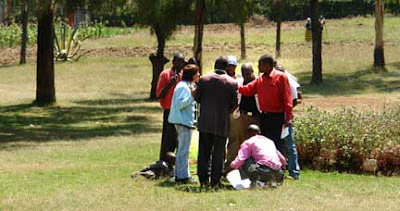 But we do not want to wait until further discussions arise, we try to go to the Governmental offices in Nakuru town on Thursday to get an official certification of our ground plans, so that there will not be any needs for further recriminations. 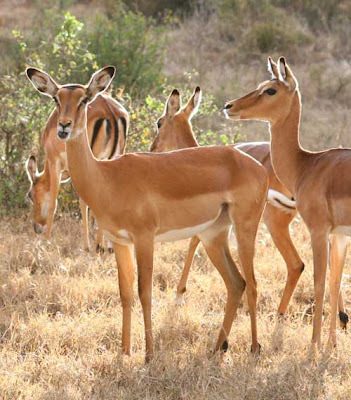 After all I have to take the chances to visit our Nakuru National Park when I live so nearby! It's always nice to be here to watch all the wild animals in their natural habitat. We included a new feature that you can find on the top right side of the blog. It is a Google gadget, that allows you to have the blog texts translated in many languages. Although the translations are computer generated certainly not perfect at all, they still give you the chance to read our blog texts in your language. Check it out! 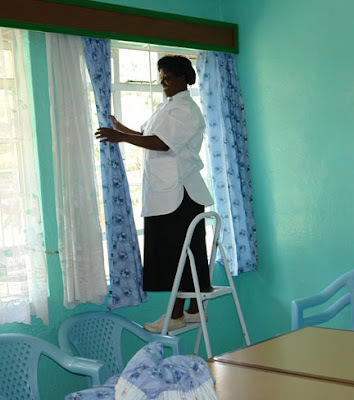 Don't miss our daily photo blog KENYA PHOTOS with regular picture posts by the Rhein-Valley Hospital crew members! We need your concern and your help. 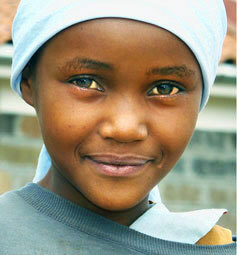 Donations are always welcome and are used 100% for the help of the poor!